Throw out that dangerous wire bristle bbq brush and replace it with the Safety Double Helix Bristle-Free BBQ Brush. The unique double helix design of the brush head consists of a continuous twisted steel wire that will maintain its shape and integrity. 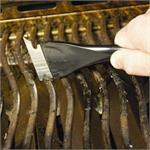 The Straw Brushes thin metal wand is flexible enough to clean around corners and into the smallest openings. 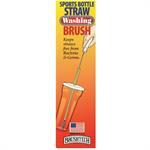 Stiff yet pliable bristles will even scrub away dried on residue. Cleans straws up to 12" (30cm) in length. 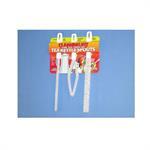 Bacteria and residue have nowhere to hide with the Tea Spout Cleaning Set from the experts at Brushtech Brushes Inc. This set of 3 brushes will clean all sizes of spouts, tubes, handles, nozzles of your tea kettles, coffee urns, tea pots and more. 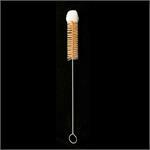 The soft bristles and cotton tip of this Tube Brush reach deep into hard to clean corners of vases, glassware, tubing, kettles, coffee makers, and more. 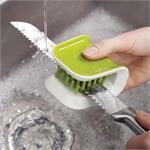 The bristles are held securely in the twisted, galvanized steel handle. 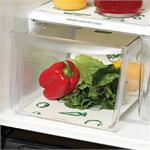 Contain the everyday spills, slops, drips, and messes in your fridge. Cut the fabric sheets to size and line your shelves and produce bins to keep your fridge clean. When messes happen simply gather them up and toss in the washing machine. 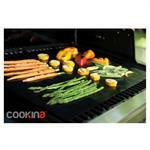 No need to have water all over the counter after washing fruits and vegetables. 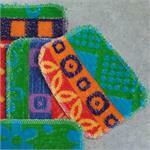 This cheerful, highly absorbent mat soaks up water like a sponge as well as cushions against bruising. 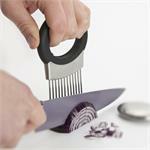 The textured handle provides a non-slip grip and the wrap around design keeps blades away from your fingers. While originally designed for knives, it can be used for scrubbing the edge of mixing bowls, plates, cups, pan lids, flat whisks, tongs, etc. Includes 2 straw brushes, a looped lid cleaner brush and a detail nib. The two sizes of straw brushes work in both your larger smoothie style and narrower standard size straws. 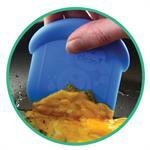 The looped lid cleaner and detail nib cleans even the most complicated lid. 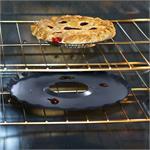 While you bake, it collects; shielding the bottom of your oven from splatters, spills and overall mess. 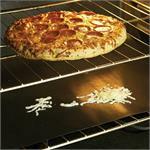 For use in any type of oven by placing on your bottom oven rack. With gentle yet sturdy nylon bristles, the OXO Good Grips Vegetable Brush is ideal for cleaning root vegetables such as potatoes, beets, carrots, parsnips and more. 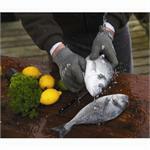 The soft grip handle is easy to hold on to and won't slip, even when wet. 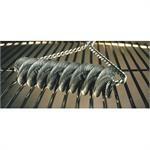 Just use a little water and the GriLLr to get in between the grates to remove burnt on food residue. The contoured blades cleans all different sizes of grates and grills and the straight edge scrapes clean, flat grill surfaces. Includes bonus GriLLr jr. The indispensable tool for around your home, garage, and work for removing burnt on food, stickers, paint drips, candle wax, and more without damaging surfaces. Bonus package includes the SKrAPr and the SKrAPr Jr. 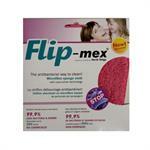 The unique shape and antibacterial properties will make this your favorite cleaning cloth.Thick and plush microfiber on one side, and smooth on the other, the versatile Flip-Mex can cut your cleaning time in half. Keep this rolled up in its metal sleeve in a handy spot, because you will reach for it again and again. This reversible mat is what you need to turn out perfectly grilled food keeping your grill marks and still leaving your barbecue clean. Every kitchen needs one, or maybe two of these. 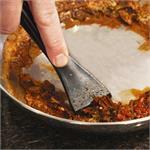 Quickly scrape away food from your pots, pans, casseroles, and more. 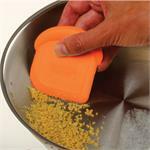 Scraper is safe for non-stick surfaces and has one edge curved for pots and one edge square for baking pans. A Customer Favourite! 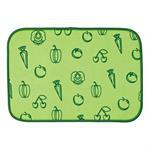 Clean away food from your pots, baking pans, casseroles, work surfaces & more. Hard plastic construction is easy to hold on to & is safe for non-stick, glass, & stainless steel surfaces. You will find so many uses - you better get 2. Ever wonder how to clean wine decanters, tall vases or narrow necked containers? This ingenious magnetic spot scrubber solves these awkward cleaning problems. 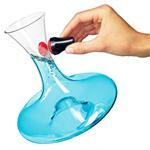 The 2 piece design allows you to scrub clean those awkward decanters. he unique laminated design combines a thin layer of foam between two layers of high quality, super absorbent microfiber. 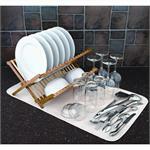 Dish drying mat is double-sided, absorbs four times its weight in water, cushions delicate dishes and stemware. scrubEAZE's fit nicely in your hand with just the right amount of scrub to get the job done. With just warm, soapy water to clean virtually any surface. Pick up a few to have in your kitchen, garage, garden, and bathroom. Save money and waste by controlling how much soap you and your family use. The cheerful seagrass green dispenser sits 7.75” (19.5cm) tall on your counter or sink edge.